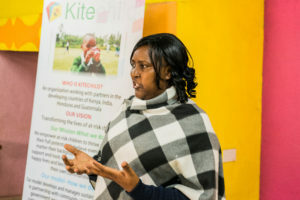 Kitechild began in 2010 as a way to network orphanage across the globe with each other and with donors. Over time, we learned much about the complicated intricacies of social services available for at risk children and their families, in various countries. 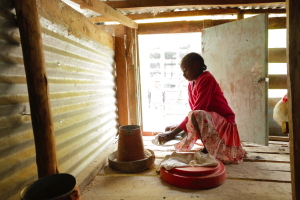 Eventually, our sustainable project model was working best in Kenya, where we received commitment from local communities as well as endorsements from the Kenyan Children’s Department and the Kenyan Ministry of Agriculture. We have decided to focus our efforts in Kenya for the time being, until our model of sustainability and vision of de-institutionalization through community enrichment can be scaled to other countries. We have 10 Large scale greenhouses currently active in the country, in 3 different regions. The greenhouses have generated over $12,000 USD in 2017-2018 from the sale of excess produce alone. 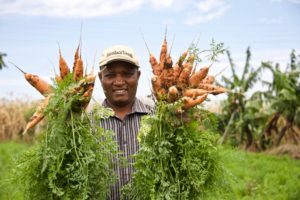 Our farms sell to local grocery stores and 5-star resorts who wish to source local and serve organic produce as well as support our cause. In partnership with the Kenyan Children’s Department, we launched our Re-integration Trainings in 2017-2018. The focus of the trainings is to educate our partners on the re-integration process of children with their families, as well as implementation of community programs to prevent children from living in an orphanage and being separated from their family. Our partners have successfully re-integrated 60 children through this initiative. 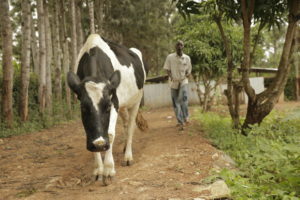 Our micro dairy cow farms provide fresh milk for over 200 children, as well as generate over $800USD annually in income through the sale of surplus milk . 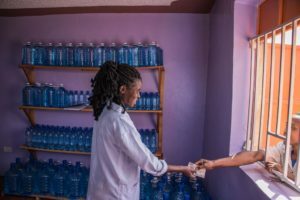 Our clean water projects include a reverse osmosis water treatment plant at the Welcome to the Family center which provides affordable clean water to the local community and generates over $1000USD monthly income for the care of at risk children. Our rain water harvest tanks at the Mother Esther Home use natural resources to provide drinking water and save our partner home over $1200USD annually on purchasing water. Our renewable energy alternatives, such as solar panels and the installation of energy efficient LED lighting, are a green solution to providing continuous, reliable energy to our partners. Our partners are saving an average of $300USD per month collectively by saving on their energy bills. These funds are being re-allocated towards critical needs such as education. Our chicken coops provide a consistent source of of organic protein for children’s diets. 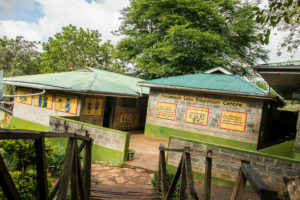 Currently, our chicken coops provide eggs for 70 children at the Watoto Wema Center.